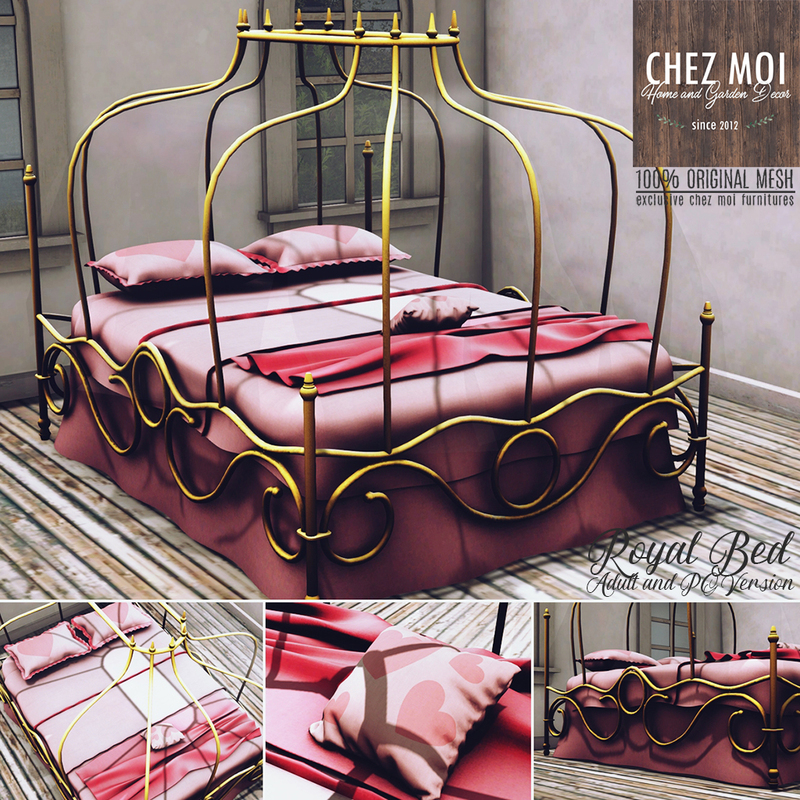 This Royal Bed is a romantic piece for your cozy bedroom. 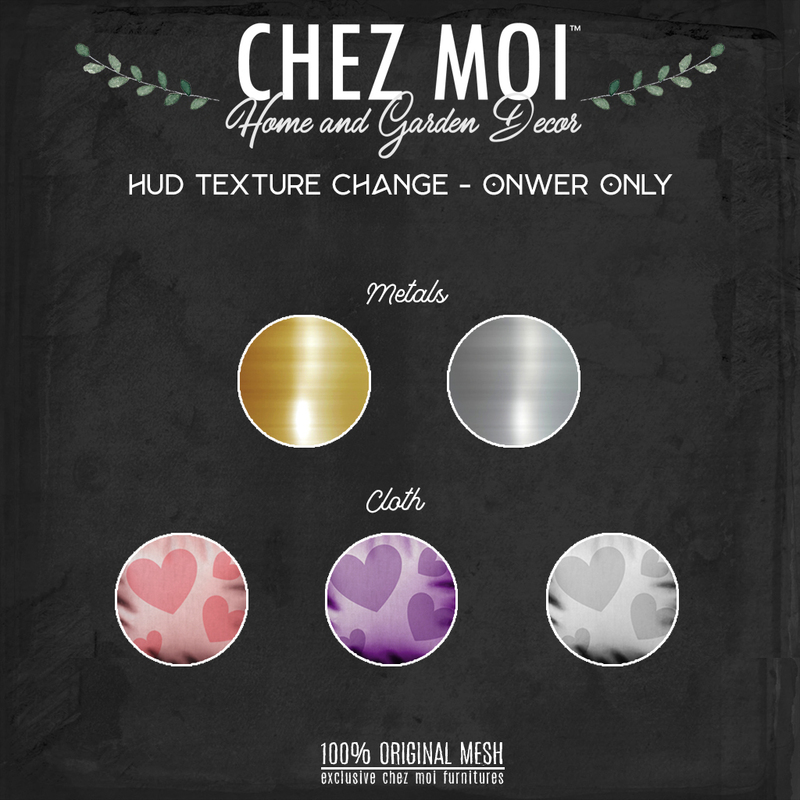 HUD Texture change options – Silver and Gold Base and 3 colors for the bed. Designed to warm a romantic heart, this swing creates a lovely atmosphere, perfect for outdoor environments. 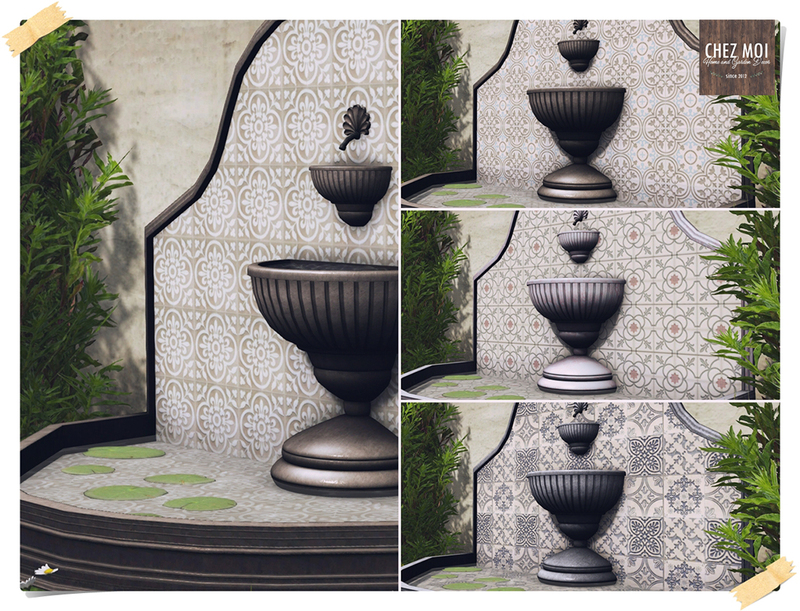 >> If you enlarge or decrease the size of These items the land impact may vary based on SL calculations. >> Swing scripts can be tricky due to the physics of Second Life. Please Note: Never rotate the swing when it is moving. 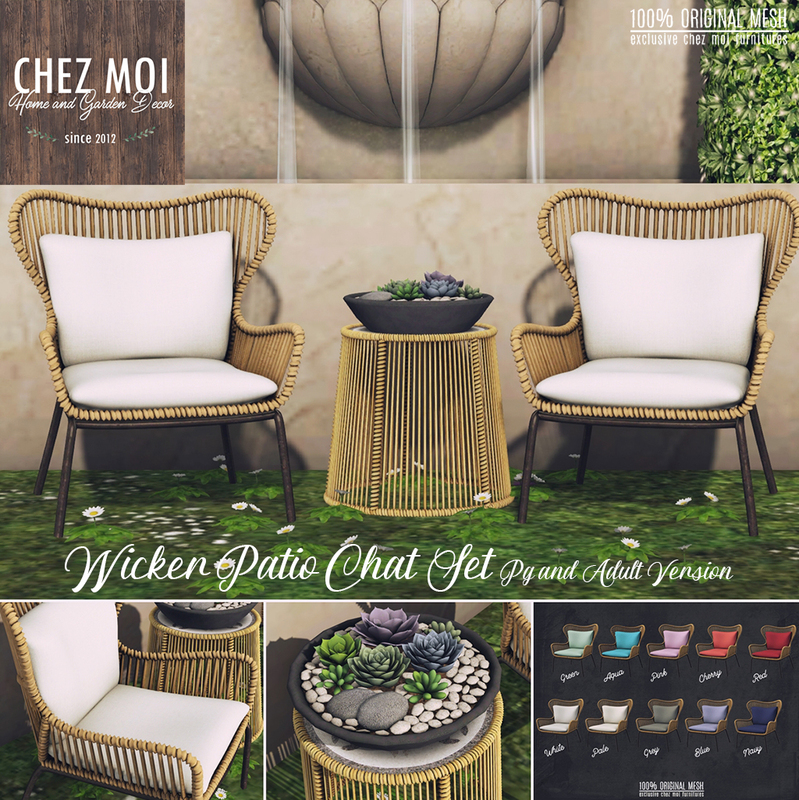 This wicker patio set is perfect for any outdoor space, like balconies, patio, gardens or backyards. HUD Texture changes options: There are 10 colors to choose. 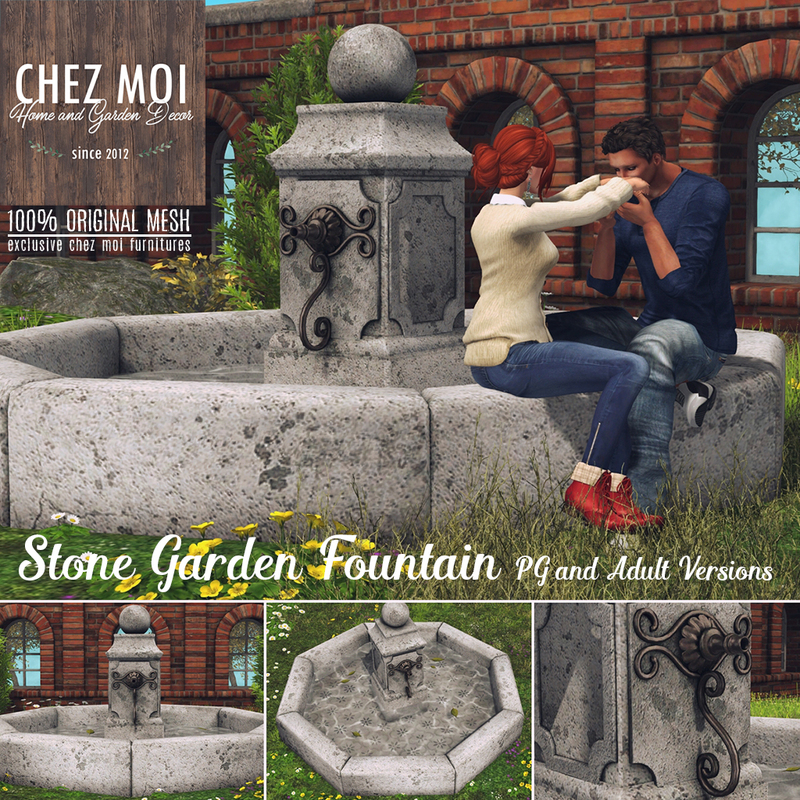 This Stone Garden Fountain is eye-catching for any outdoor space. 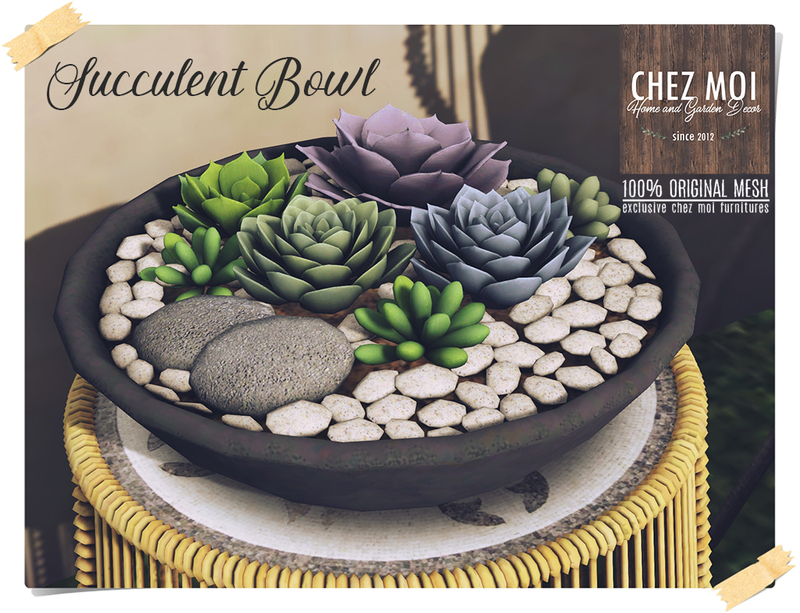 Materials enabled for a realistic look under changing lighting conditions. 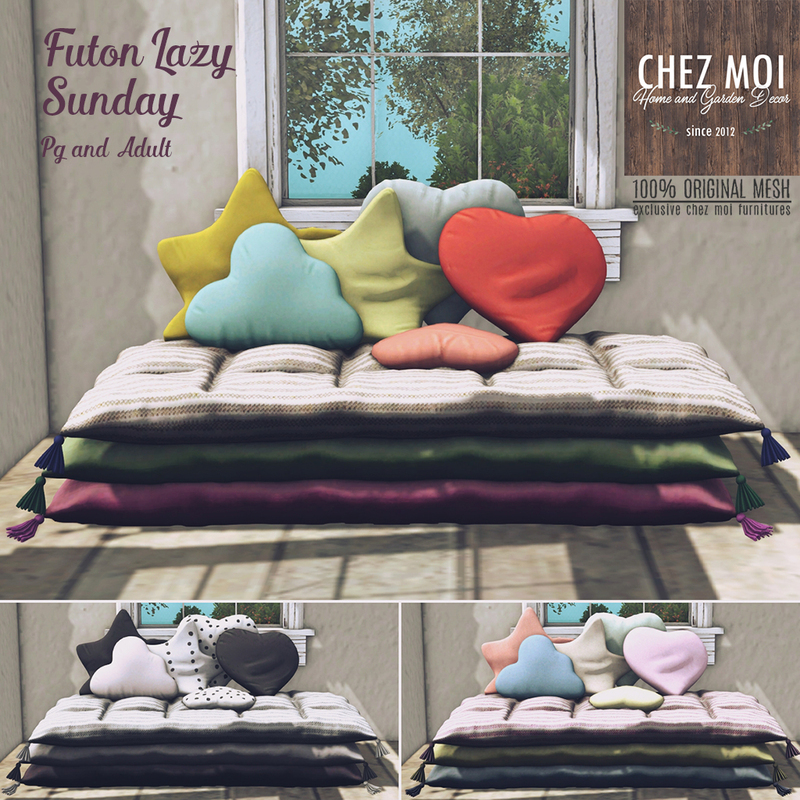 Cozy futon with extra texture options, that will amaze you and your guests. ♥ Several “wearable” props like guitar, notebook, book, coffee and more. 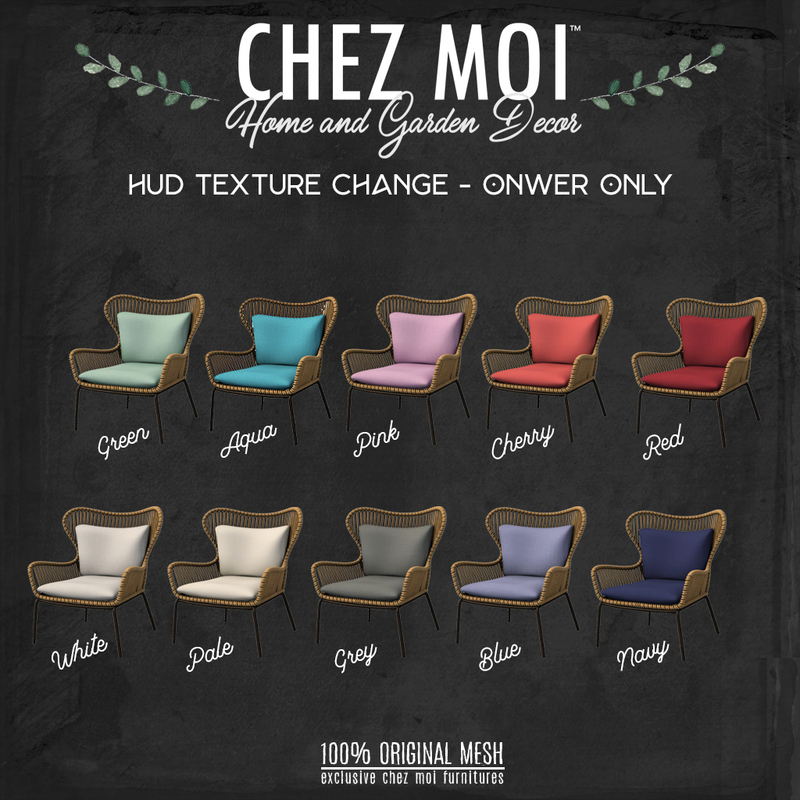 Texture change options – Touch the pillows to display the menu (Colorful, Black&White and Pale). 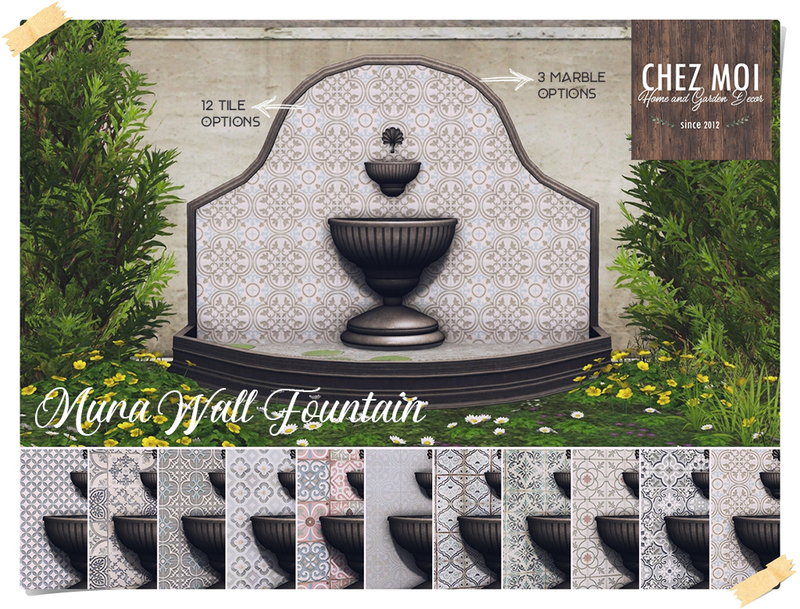 The Mura Wall Fountain is eye-catching for any garden.